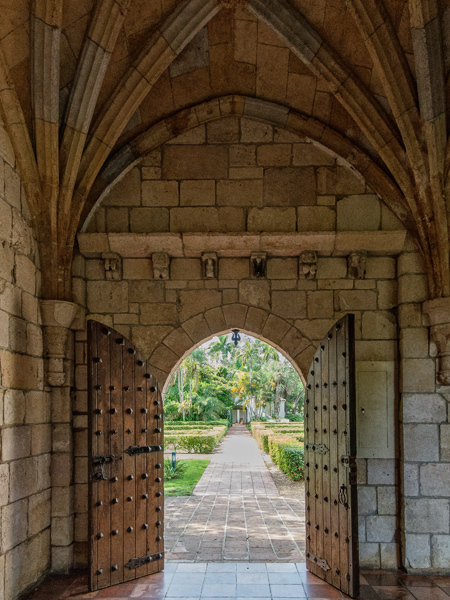 This 800-year-old monastery was originally constructed in central Spain and occupied by Cistercian monks. In 1925, the structure was purchased by William Randolph Hearst who had it dismantled, packed into 11,000 wooden crates, and shipped to New York where it remained for 26 years. 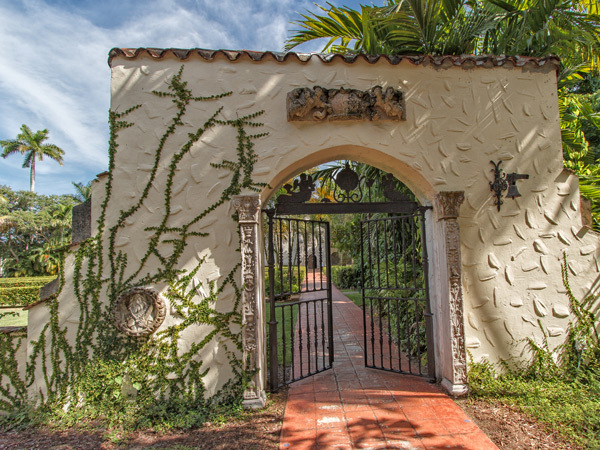 In 1953, the 33,000 stone blocks were purchased again by investors Raymond Moss and William Edgemon and shipped to Miami, where over the course of nineteen months they were reassembled by stone mason Allan Carswell. 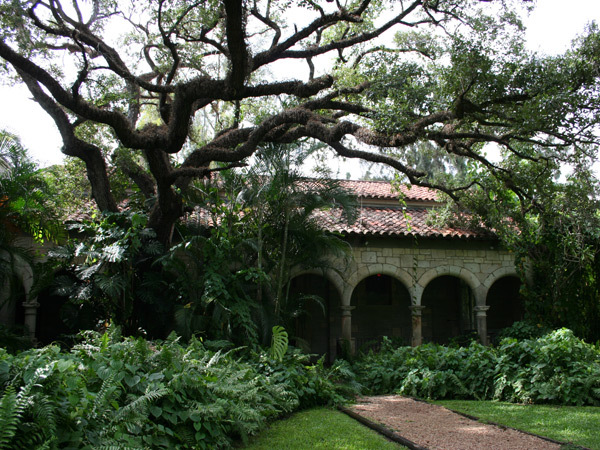 Located in the southeast corner of a former plant nursery on the banks of the Miami Canal, the historic church is surrounded by formal gardens designed in the 1950s by members of the church to be reflective of those found in Spanish monastic gardens. 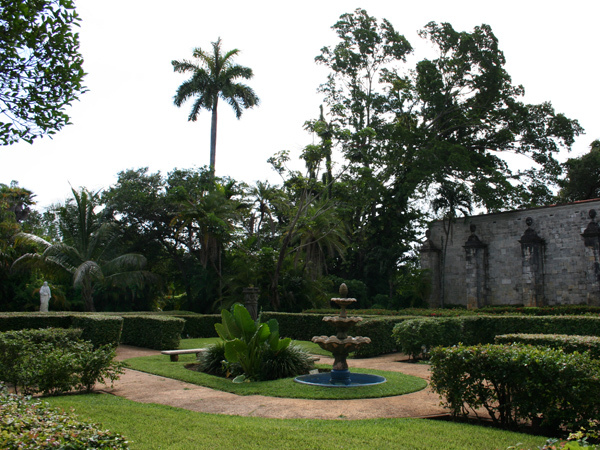 Contrasting with Florida’s typically lush tropical vegetation, the north grounds of the refectory are defined by neatly trimmed hedges that delineate garden rooms. 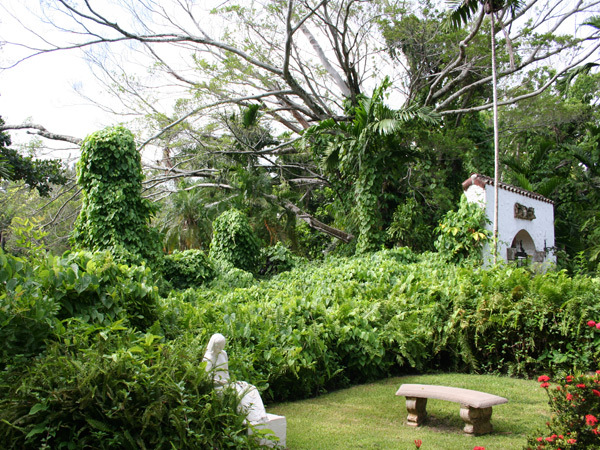 Linear paths encircle religious statues and fountains set in parterre gardens and wide expanses of lawn. 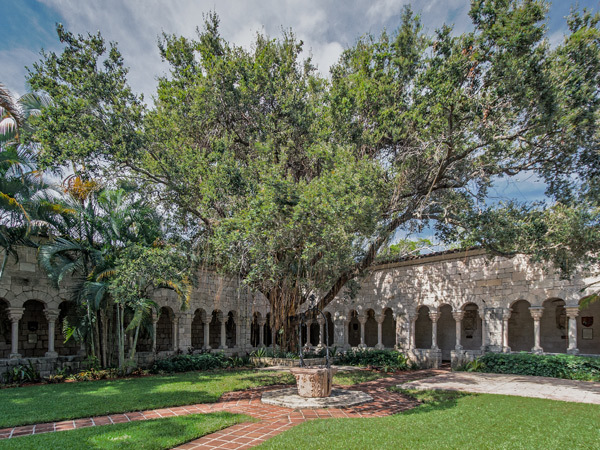 Intricately constructed arcades surround the church’s cloister, and provide framed views of the gardens through arched openings. 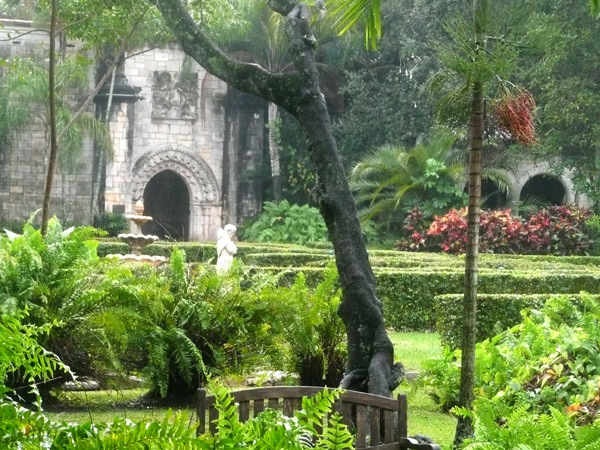 Inside the cloister garden, radial paths made from square cut stone lead to the original church well. The medieval space, contained and ordered, reflects the monastic, agricultural lives of the Cistercian monks. 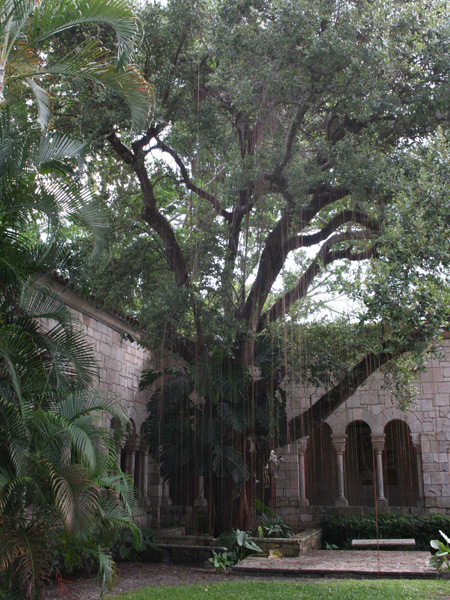 The church, which was purchased from Moss and Edgemon in 1964 by the Episcopal Diocese of South Florida, is now owned by the Episcopal Parish of St. Bernard de Clairvaux and serves the parish and larger community. 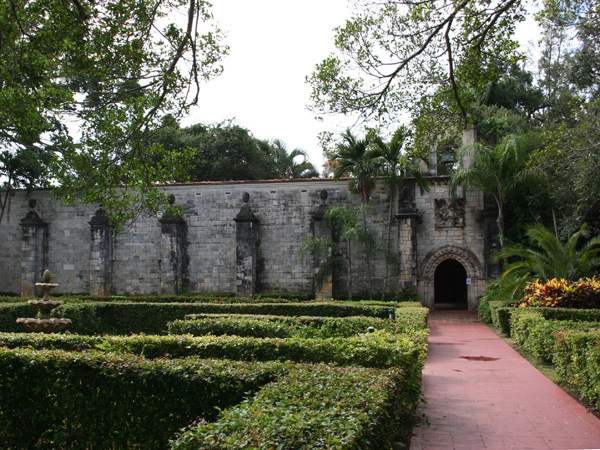 The church was listed in the National Register of Historic Places in 1972.